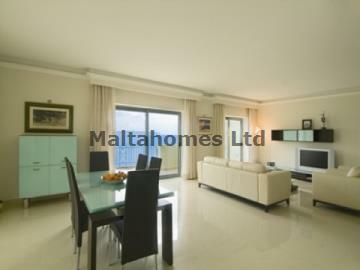 Bathrooms 1 + En-suite + Spare W.C.
An opportunity to acquire an Apartment in the seaside complex situated in Tas-Sellum in Mellieha overlooking Malta's largest sandy beach. This one of a kind complex enjoys a communal pool and superb views. This property enjoys a total area of 218sq. mtrs, of which 191sq. mtrs. is internal. Furthermore, this architectural gem has 3 swimming pools and is situated close to amenities.